The former federal prosecutor is also the first black woman to hold the role in 182 years. Lightfoot, who had never been elected to public office handily beat out Cook County Board President Toni Preckwinkle, spurred just over a month ago when no candidate won a majority of the original vote. A wide field of 14 mayoral candidates was narrowed to the pair, either of which would have been historic as they are both Black women. Previously, Lightfoot had served as president of the Chicago Police Board, in addition to heading the police department’s Office of Professional Standards and the city’s Police Accountability Task Force. She also was a federal prosecutor. These positions have drawn her criticism, but she has run on the promise of ridding the system of corruption. She also said she would help low-income Chicagoans. She also was the focus of homophobic attacks on the trail. Lightfoot will go down in history as not only the first openly LGBTQ+ person to serve as mayor in Chicago, but the city is now the largest American city to ever elect an openly queer person to the position. She is also currently the sole Black lesbian elected mayor in the nation. 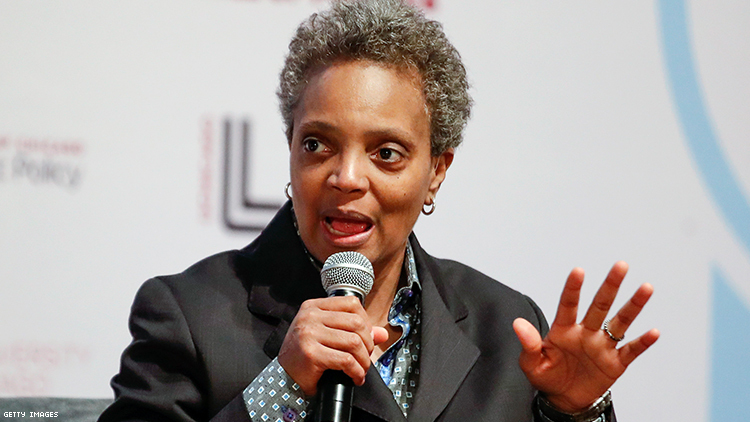 She will succeed Mayor Rahm Emanuel after being sworn in May 20.